Bedford-Stuvvesant is the amalgam of two middle-class communities of the old City of Brooklyn: Bedford, the western por­tion, and Stuyvesant Heights, to the east. 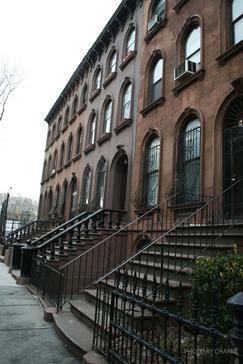 Today's Bedford­Stuyvesant is one of the city's two major black enclaves; the other is its peer, Harlem. 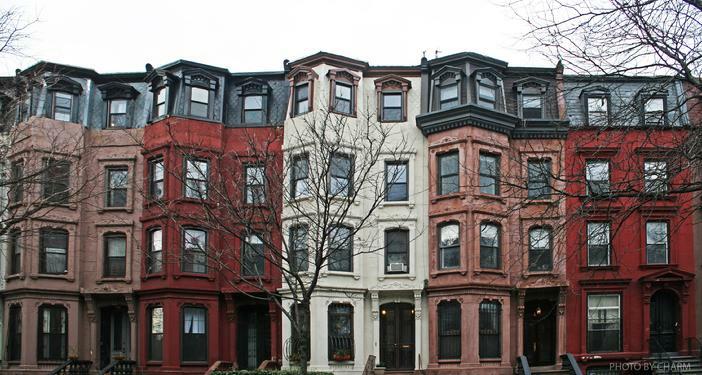 Bed-Stuy differs from its Manhattan counterpart in its much larger percentage of home owners, although Harlem is rapidly following its lead in gentriying its own blocks. The southern and western portions comprise masonry row housing of distinguished architectural quality and vigorous churches whose spires contribute to the area's fre­quently lacy skyline. The northeastern reaches have considerable numbers of wooden tenements, containing some of the nation's worst slums. 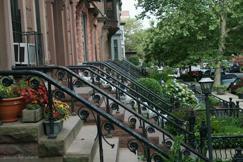 But on the whole, Bed-Stuy has a reputation that doesn't fit with reality: a stable community with hundreds of blocks of well-kept town houses.Where Bedford-Stuyvesant has distinguished architecture, it is very good. 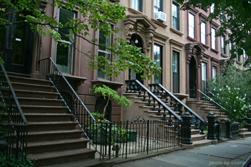 Its facades of brownstones and brickfronts create a magnificent townscape as good as-and sometimes better than-many fashionable areas of Brooklyn and Manhattan. 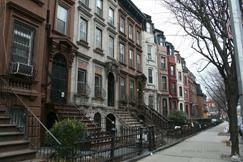 Parts of Chauncey, Decatur, MacDonough, and Macon Streets, and the southern end of Stuyvesant Avenue, are superb. 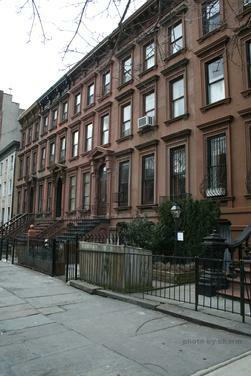 Hancock Street, between Nostrand and Tompkins Avenues, was considered a showplace in its time (why not now too?). Alice and Agate Courts, short cul-de-sacs isolated from the macro­cosm of the street system, are particularly special places in the seemingly endless, anonymous grid. 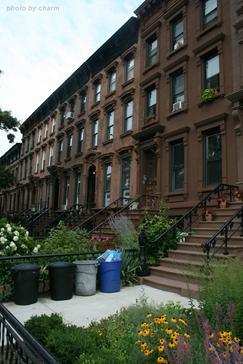 Bed-Stuy comprises roughly 2,000 acres and houses 400,000 people, making it among the 30 largest American cities.